An aging, deadbeat former baseball player takes his lovable band of underdog losers to Little League heights. It's a classic David vs. Goliath story and a reminder that even with limited resources, you (and your business) can find success through heart and passion alone. 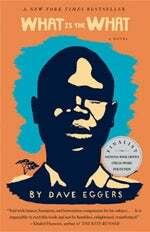 This 2006 novel tells the tale of one of the so-called Lost Boys of Sudan. Forced to flee his country and walk hundreds of miles across deserts, he faces incredible dangers by roving militias and wild animals before arriving at a refugee camp and, eventually, the U.S. -- where additional harsh challenges await. Sounds uplifting, right? Actually, it is. Brutal but told with unexpected humor, it's an endlessly inspiring story of resilience against hardship. This could be painful. Aherk! bills itself as a "goal-oriented self-blackmail service." It works like this: You define a goal, then upload an embarrassing or compromising photo of yourself. If your deadline expires and you have failed to reach your goal, the photo is automatically posted to Facebook for all your friends to see. Motivation through humiliation! If you've ever needed motivation to clean off your desk, this is it.